“Your Network Is Your Net Worth”. 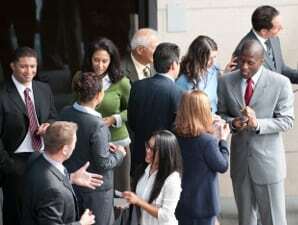 Keeping in touch and networking may seem like a hassle, especially if you’re busy in your current SAP position, however ongoing networking will help ensure SAP work doesn’t dry up in the future. Make the effort to stay in touch with old colleagues. Also strive to make new useful contacts by attending SAP networking events, user groups and SAP conferences. Utilising social media sites for professional SAP networking is also a great way to increase your chances of being hired for potential SAP jobs. Another great online network for SAP Consultants is the SAP Community Network (SCN). Contributing comments/blogs and SAP advice here can increase your reputation within the SAP community and also help you to make new, meaningful contacts, who may well have SAP work for you at some stage in the future. In a dynamic and competitive market job market such as SAP Consulting, it is vital to keep your skills, qualifications and technical knowledge up to date. Use your spare time to attend training sessions and work towards SAP certifications and other industry-related qualifications. Having experience with the latest SAP releases/enhancement packs will always be favourable. 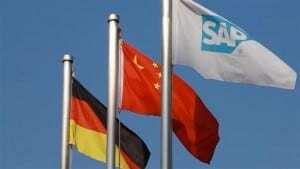 New SAP acquisitions generally lead to increased demand, with only a short supply of resources. Gaining experience in new SAP Products early on (especially if they complement your existing specialisation within SAP) can really give you an advantage. Examples of such SAP acquisitions include: Ariba, BusinessObjects, Fieldglass, Hybris, SuccessFactors, Sybase and Syclo. Keep an eye on new products and areas that SAP are actively marketing and talking about – These are usually purchased by SAP customers within a very short period of time, and soon require SAP Consultancy. Experience in SAP HANA and HANA related skills such as SAP S/4HANA Simple Finance will make you a more attractive prospect to potential SAP employers. SAP Cloud related areas such as SAP Business ByDesign are also highly desirable at the moment. 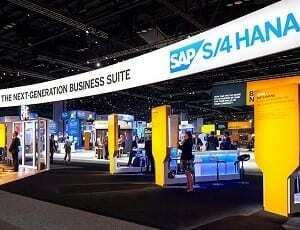 Attending SAP Conferences such as Sapphire, and SAP TechEd are helpful for keeping your finger on the pulse. Setting appropriate RSS news feeds is also a good way to stay in the loop with the latest SAP news in your field. Speaking more than one language fluently can greatly increase your desirability to potential SAP employers. Speaking the local office language or the language spoken at one of the client’s subsidiaries could be a big differentiator, especially for international SAP roll out projects. English being the global language of business, and indeed of SAP, would be my primary recommendation (for those who don’t already speak it fluently). For consultants open to working in Germany, the home of SAP, learning German would be a great asset. It will open the door to employment opportunities in a country with one of the most stable economies in the world and a huge number of local SAP clients. It will also improve your prospects for securing SAP jobs in the German-speaking parts of Switzerland, where you can find some of the most highly paid SAP positions. Referring to SAP’s growth plans in China co-Chief Executive Officer Bill McDermott said in a recent interview in Beijing: “The potential here is just thrilling, so we want to treat China as if it’s a second home,” – Considering the huge potential of this growth market, learning Mandarin Chinese would no doubt give you access to thousands of new SAP career possibilities over the next few years. The majority of SAP Consultants find their jobs / SAP Contracts via recruitment agencies. Therefore choosing the right recruitment agencies to work with is important and can influence the chances of landing your next SAP position. Choose a few good agencies to work with, and keep them updated with your CV, availability and latest contact details. * Does the recruitment agency specialise is SAP? * Do they focus on the geographical area you want to work in? * Do they work at competitive rates/fees/margins? * Do they have a good reputation within the SAP community? * Will the agency represent you in a professional and ethical manner? * Does the agency deliver to a large SAP client portfolio as a tier 1 supplier? There are thousands of SAP recruitment agencies out there to choose from, so do your research to find out which are the good ones, and which are the right ones for you! For those of you looking for permanent SAP Jobs or temporary SAP contract assignments in Europe, registering your CV with Eursap would certainly be a great place to start! Writing an effective SAP CV (résumé) is an essential foundation for building a successful SAP career. 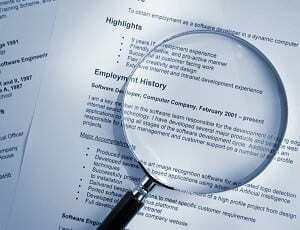 When being considered for a new SAP employment opportunity your curriculum vitae is normally the first thing an employer uses to decide if you are suitable for the SAP position on offer, so it is no surprise that candidates who write the best SAP CVs are those who are invited for interviews and who ultimately get hired.